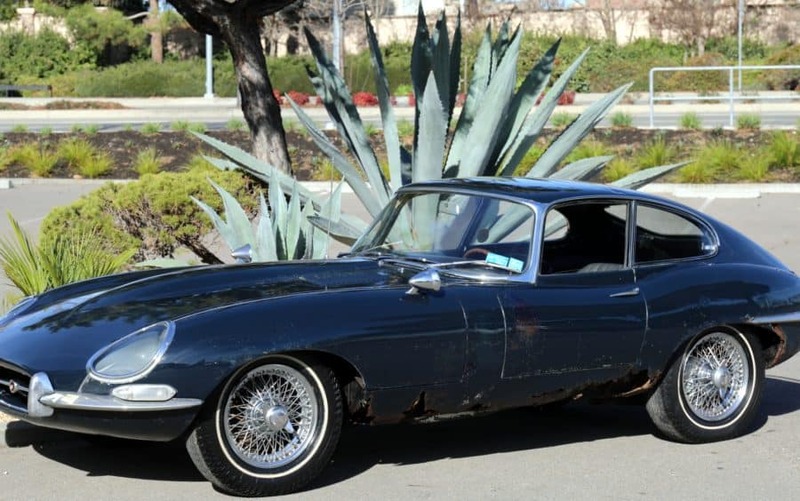 “Time Capsule” 1967 Jaguar Etype Series 1 Fixed-head Coupe: One documented owner since new (name on Heritage Certificate matches name on title); stored since 1975; all numbers match; rare Dark Blue/Dark Blue color combination. The original owner parked this car in 1975 in a storage facility and it remained there for 42 years. The car was so buried we could barely see it (please see the picture of the “hiding cat” lol). Miles on odometer are accurate 97,211. Interior is untouched original, original dash is near perfect. Engine has not been started in 42 years, likely needs rebuild. The car sat on cold concrete for over 4 decades and that caused rust in the rocker areas, but other areas are surprisingly sold, such as original floors. Superb for restoration. We go to extents to document our cars in pictures and provide the most transparent listings on Ebay. Please study the pictures carefully rather than requesting descriptions. Please complete any inspections or ask any questions prior to bidding or committing to buy the car. Thanks for the interest!